Every once in a while I come across something that's a bit different and deserves to be displayed. Over these last few years I've noticed some 'shingle' art on the sides of homes and garages. 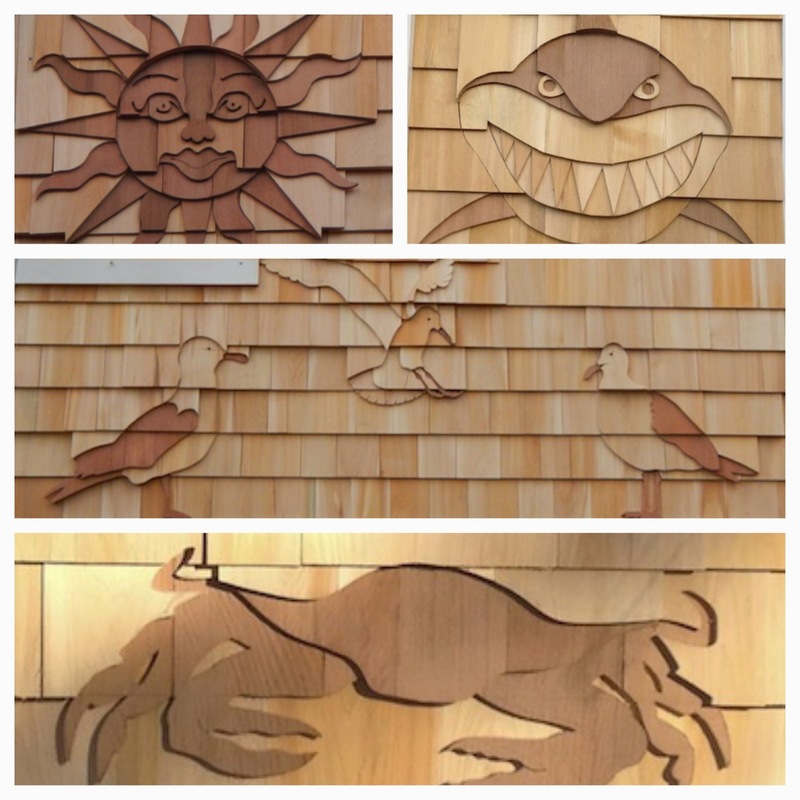 This form of art uses the 3D aspect of cedar siding with clever cutouts and natural wood shading variations to create dramatic images. 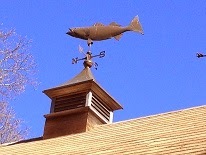 Check out the handiwork of artist Roger Dumas of Eastham. He calls his business 'Jolly Roger Woodworking'. Click on the photo to get a closer look. Roger's studio is here in Eastham, on Cole Rd. Check out his Facebook Business Page for more photos and for his contact information.. Fun! 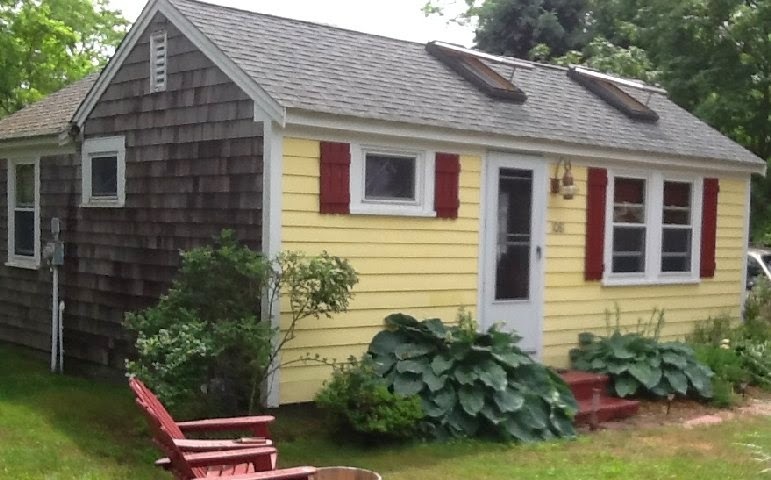 EASTHAM - New Listing - Super cute, turn-key, completely remodeled, 1 bedroom cottage, with a new deck, storage loft, skylights, and a vaulted ceiling. In addition, we have a new refrigerator, and newer furnishings and bedding. This can be your Cape get-away and is ready for summer. Come see! Listed at $154,000. For more photos and a Virtual Tour, go to http://PineTreeCondo.robertsheldon.com. My April 2014 Market Report Is Available Now! My April 2014 market report is available now! This issue has my Eastham market update through February. There are also a number of recent articles that you should find interesting. This newsletter has been published every month for over 11 years. My aim, with this newsletter, is to provide accurate sales and market information about the Eastham housing marketplace, to add commentary and opinion (as appropriate), and to keep it interesting. Download your copy of my April newsletter now. Home Ownership Has Its Advantages! Post by Bob Sheldon at RE/MAX Classic. Eastham's February Sales - Just One Home Sold! There was only 1 home sold in Eastham in February. 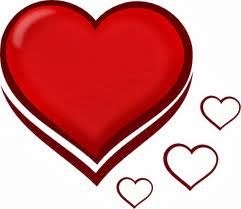 Total February sales were $424K - the sale price of the 1 home. There are currently 94 active single family listings in Eastham, with an average list price of $588K and a medium price of $479K. The average days-on-market is currently 226 days. For more details, graphs, and commentary, download my latest monthly Eastham newsletter -- here. I've been publishing this newsletter for 11 years with the goal of providing market information to my clients, so they may approach the market from a more informed position. Check it out!